Hey friends! It’s been a hot minute yet again, I think January has been busier than the holidays holy moly! Anyway, I’ve been getting lots of questions about what skincare products I’m currently using! Now keep in mind, I do not use all of these products all at one time, every single day. I use what’s needed and listen to my skin. 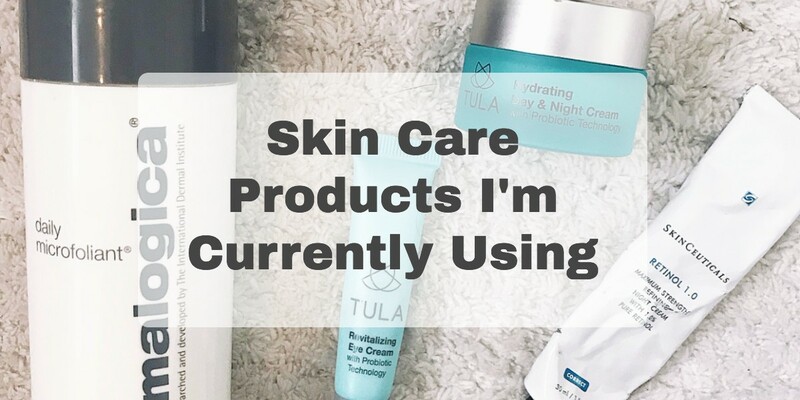 Now there are products that I do use every day and I will make sure to let you know which products I use and how often. Let’s jump right in, shall we? *NOTE: I have about the most sensitive skin known to man, so the products I’m about to mention do not irritate my face. Glytone Cleanser: I’ll try and use this toner everyday, but if I notice my skin starting to dry out, I’ll back off on it for a couple of days, however this is the most gentle and effective toner I’ve found so far. Vitamin K Creme: Pilar at Hello Smooth introduced me to Vitamin K creme…. if you have red, blotchy, rosacea prone skin…you need this in your life! It has completely evened out my skin tone! 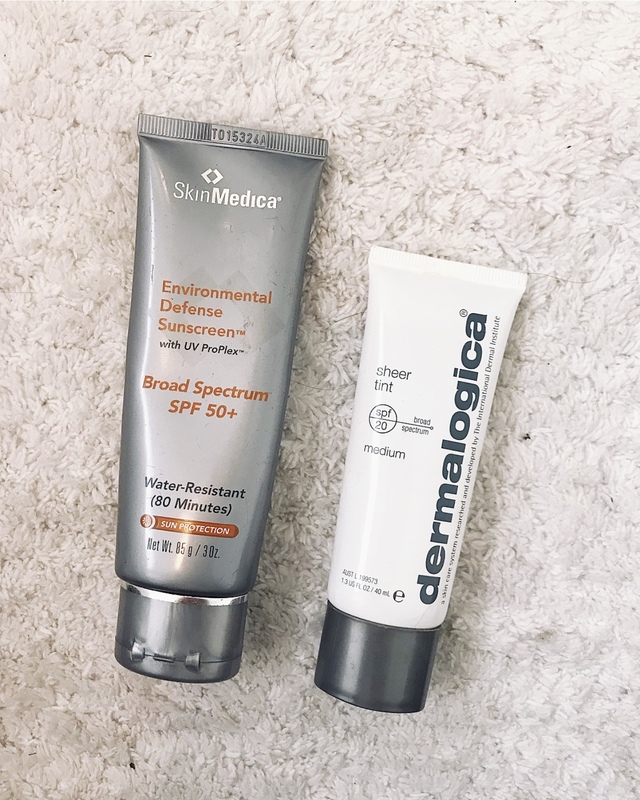 While we all know that you should most definitely wear SPF every single day, sometimes my summertime SPF isn’t exactly what I want to put on over my thick winter moisturizers. I started using THIS tinted spf a couple months ago and it’s been a life savor. I’ve started just wearing this with some powder during the day for my everyday makeup too! Ps… it smells like lavender and isn’t oily/thick either. My nightly routine is just about the same, I use the same cleanser, eye creme and toner when I remember. However, I’ve been incorporating retinol into my routine the last few months too. *Note: you can mix your retinol with your night creme/ moisturizer until your skin gets used to the strength of the retinol. I still tend to do this and I’ll use it 3-4 times a week- not every night. 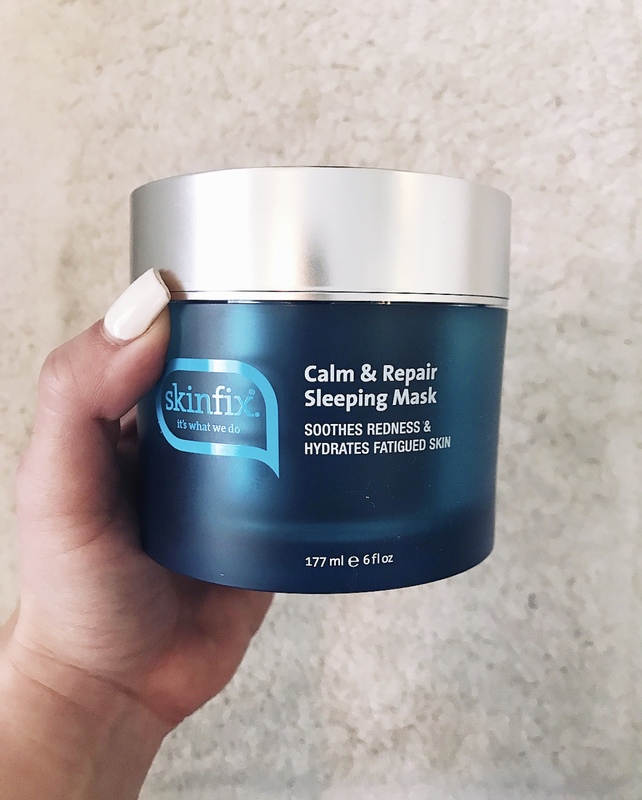 THIS mask from Skinfix is a new mask I’ve been trying. It’s specifically formulated for irritated, red skin…aka my face. It’s not too think, smells soo relaxing and you sleep in it! 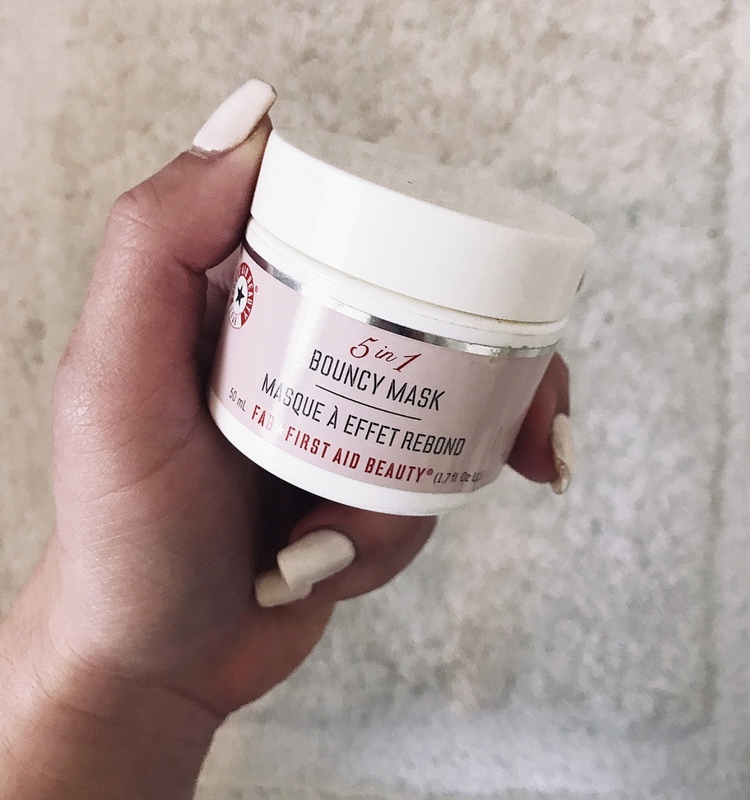 THIS exfoliating mask from Tula will definitely get all of the grime away from your face and cleanseeee. I’ve been using THIS mask for a couple of years now. If you need your face to just be revived…this is your mask. Tip: sleep in it and wake up looking refreshed. Hope this post was helpful!! 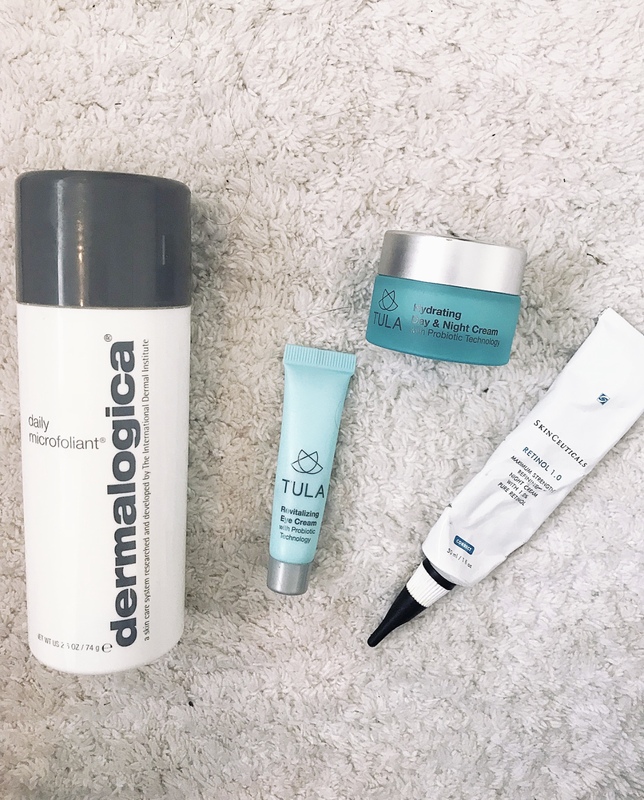 While I’m always trying new skin care products because, well that’s my job as a blogger haha these products seem to be my tried and true and what I’m currently using. Like I mentioned above, I have extremely sensitive and irritable skin and all of these products do not irritate me at all. I know everyone’s skin is different, but wanted to note that I do not have good/ perfect skin at all. 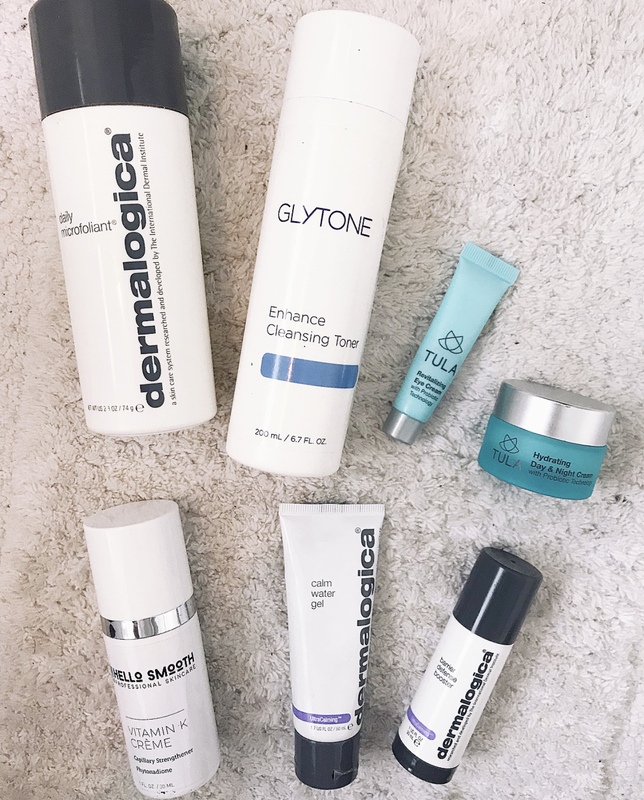 I have some new skin care products that are coming in the mail soon centered around brightening, calming and anti aging sooo I’m really excited to try those out soon and let you know what I think! Hope yall have a fantastic Wednesday! OH! and don’t forget to use the code AUBREYALLEY for 15% off any product and order through Tula! THIS KIT is something I would highly suggest purchasing if you are new to Tula products, but want to try them out! 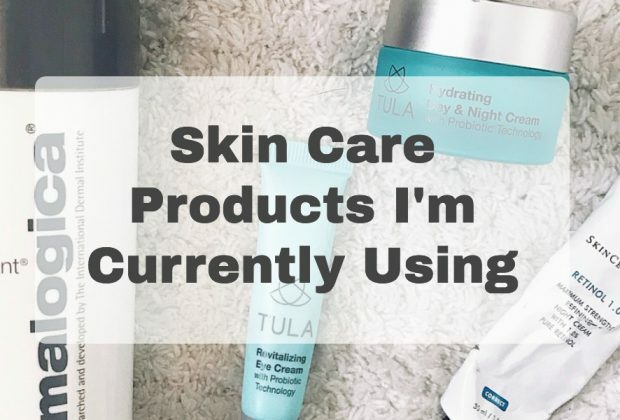 Almost every Tula product mentioned above is included in it, just travel size 🙂 Let me know what you try out or if you use any of these products already! I really love reading your blog posts! It is always part of my daily rituals! I love skincare and need to try this brand out. The Perfect Summer Maxi Dress…. 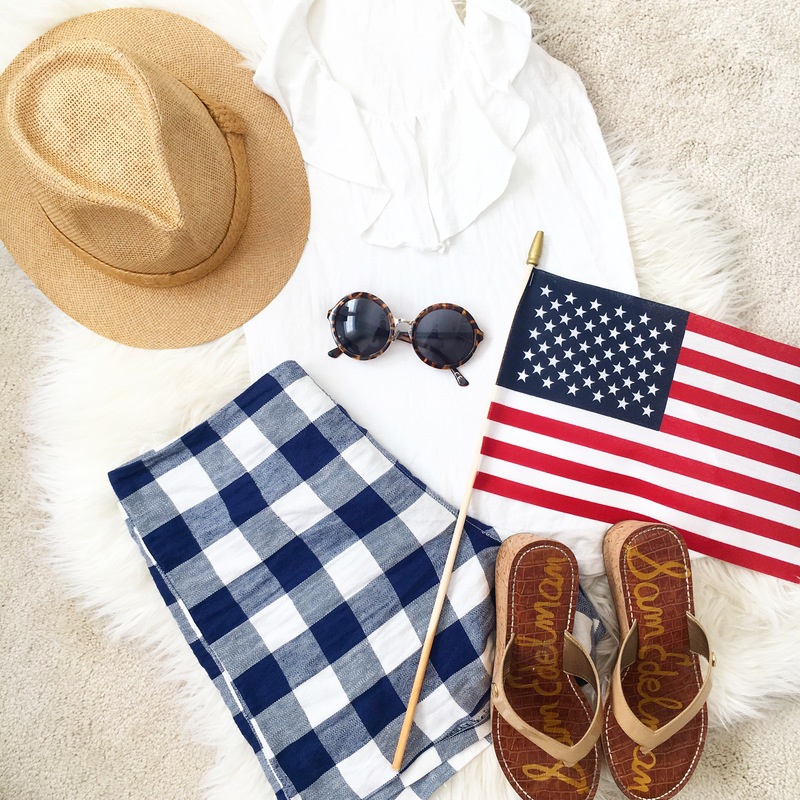 What To Wear for the Fourth of July!